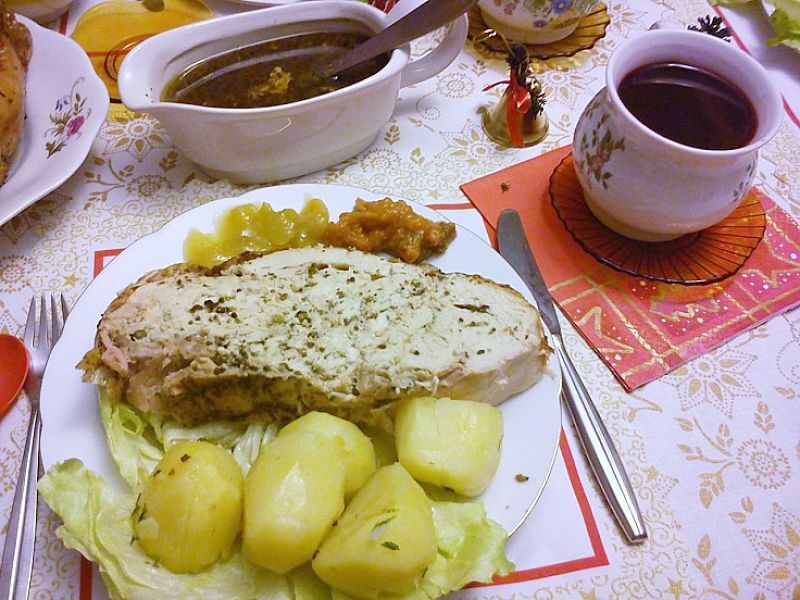 The Christmas and New Year holidays and parties are a notorious time for weight gain, causing tragic weight gains after months of successful dieting. How can you celebrate, eat lots of wonderful food and take a break from your dieting discipline without piling on the extra pounds? Similarly how can you avoid gaining weight on vacations and business trips when your normal routine changes? That is a hard question to answer - many have tried and most of failed. One thing is certain - Eat more, exercise less and you will put on extra weight. This happens all the time to people who are dieting. People struggle to lose weight only to quickly put it back on again when they stop dieting or have a momentary lapse during holidays or the silly season. The trick is to find a way to avoid weight gain without denying yourself the opportunity to enjoy the food and celebrations and to have a good time with friends and family. This article provides a survival guide for the holiday season with many tips to help you avoid unnecessary and unwanted weight gain. Weight control is simply a matter of controlling the net number of calories assimilated by the body after accounting for the number calories eaten each day in food, and the number of calories burnt through exercise and meeting the basic energy needs of your body. To lose weight you need to develop a calorie deficit - that is consuming far less calories than the body burns each day. Dieting generally involves restricting the number of calories eaten at each meal throughout the day by various means. Increasing the amount of exercise or activity can help because it increases the amount of calories burnt. However, eating less is much more efficient way of losing weight than exercising more, because exercising is so inefficient. The other way of reducing your calorie consumption is by intermittent fasting. One way of doing this is by'Skipping Lunch' or by skipping one of the other meals during the day. This means that you can eat 'normal' meals at breakfast and dinner and is much more socially acceptable as you can enjoy normal meals with your friend at dinner. Eliminating one of the three main meals during the day puts you into a calorie deficit and over a long time you will lose weight and come to a new equilibrium. Monitoring your weight and adjusting your food intake during the remaining meals and for snacks is essential for making sure you keep on track. This intermittent fasting provides a simple way of preventing weight loss during the silly season. 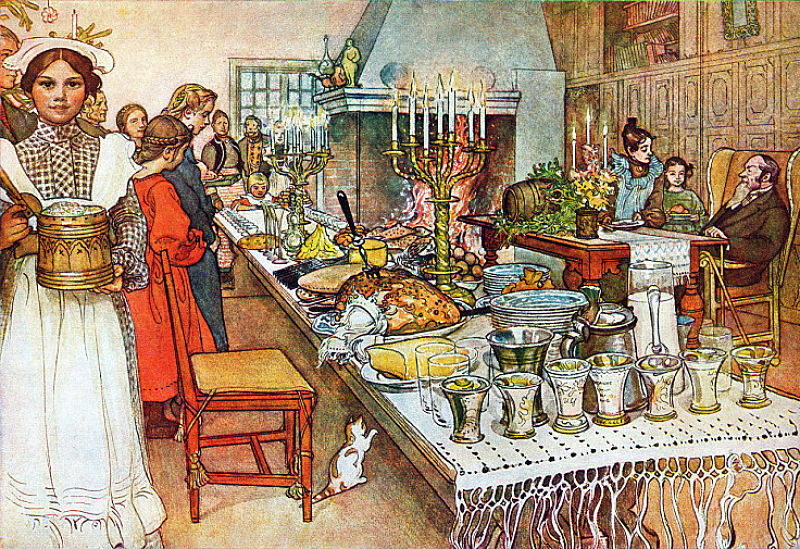 If you plan to have a huge lunch with turkey, ham, vegetables, followed up with plumb pudding and custard, then you can simply skip breakfast and the evening meal on that day. Controlling what you eat is still important to prevent over-indulgence. 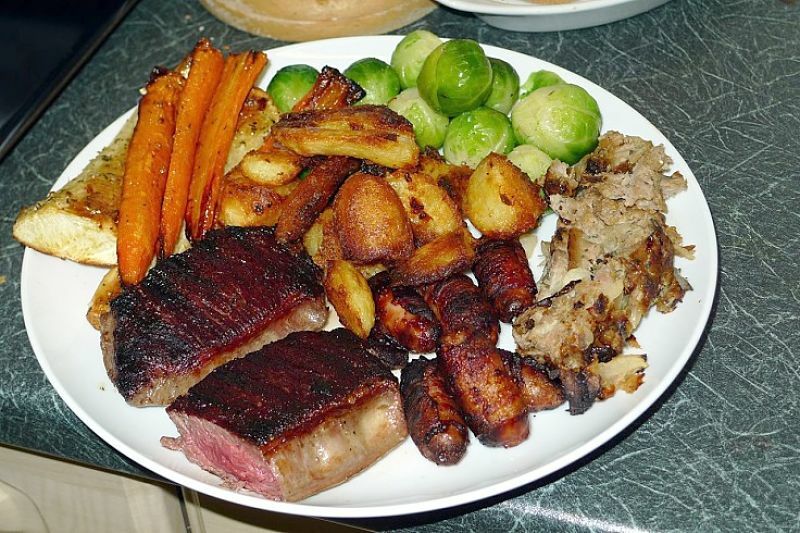 But this is preferable for many people than trying to limit the plate size and foods eaten with friends for lunch. The same principle can be applied to parties and drinks. 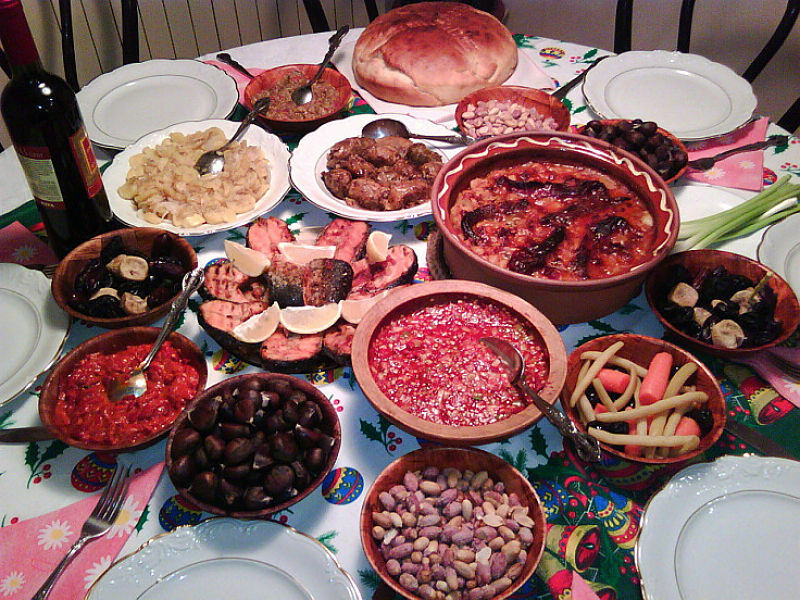 Use a period of fasting before or after the party or other celebration. Like all forms of self-control fasting is not easy. You will get hungry and may have mood swings and other issues. But this applies to all forms of weight control - some pain to achieve the target in your weight loss plan is to be expected. Some people may find intermittent fasting too hard to do, but replacing a meal with a piece of fruit or a vegetable snack such as carrot and celery sticks may offset the hunger pangs and can be just as effective. Try to ovoid the combination of excess indulgence and hours sitting on the couch. Holidays should be the time to do more and to try new things. It is generally a simple matter of making time for exercising, even going for a walk with the family after a huge lunchtime meal. There is no need to stop exercising, but may reasons why it should increase. Snacks can ruin your appetite for the main meal. Snacks can be very rich in fat and calories. Choose healthy snack alternatives and keep the portion sizes to a minimum. Take your own healthy snacks to parties if you are unsure whether any will be available. The same applies for holiday meals, especially desserts. Take your own dishes with you and offer them to your host or prepare healthy alternatives for meals you prepare yourself. You don't need to dump all your self-control and give yourself permission to overeat simply to enjoy yourself. Several large meals or several days of overeating can quickly destroy some of the weight loss you have worked so hard to achieve. Skipping meals is a good way to exert such control. Learn to compensate for overeating by doing extra exercise or eating less as other times during the day or each week. This concept of compensation is a good way of having a good time without suffering the consequences. 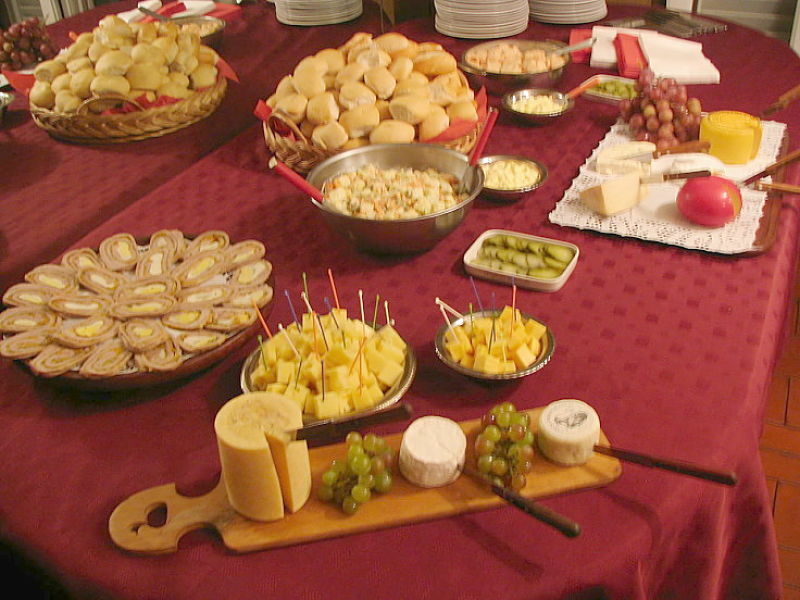 Party food and snacks are very tempting over the Christmas and New Year Holiday period.